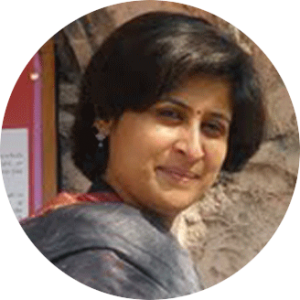 Co-founder GOONJ.., Meenakshi has more than two decades of wide ranging communication career to her credit. Ending a 15 year corporate career, in 2005 she finally quit at the end of a eight-year stint as News Publicity Head with BBC South Asia. She now works closely with Anshu and the rest of the team on fine-tuning GOONJ’s strategies and communication with its urban and rural audiences as well its interface with other organizations. Meenakshi has traveled widely across the deep interiors of India to witness and understand first hand its issues and realities. One of GOONJ’s founder members, a masters in Hindi and a pass out of IIMC in journalism, Ajay has a rich experience of more than 2 decades in the field of Electronic & Print media. He has traveled extensively throughout India as Associate Director, Krishi Katha, a Doordarshan series on the history of agriculture in India. 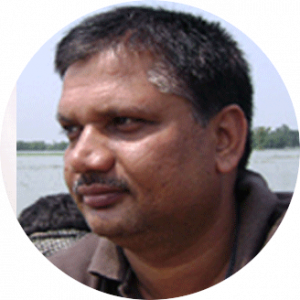 Mr. Keshav Chaturvedi is a media person and a writer with two decades of experience in print, electronic and online. He has been tracking the issue of environment and climate change since the Rio Summit in 1992 and specialises in renewabl;e energy and sustainable development. He has written a book on the history of climate change negotiations which is under print. Keshav has travelled extensively across India and abroad, closely watching the impact of climate change on various societies and their efforts to come to terms with it. Mridula Murgai A teacher, a member of the Delhi Stock Exchange, a registered sub-broker under SEBI, the founder and Editor of the website for Indian Women, and above all a grandmother, mother and wife !! A charming young lady at heart, all of 60+ years and some more. For a long while, in the tough initial years of GOONJ, Milly Ji (as everyone calls her) single handedly took up the responsibility of running its simple yet effective website. Over the years Mridula has played an instrumental role in facilitating many activities for GOONJ. 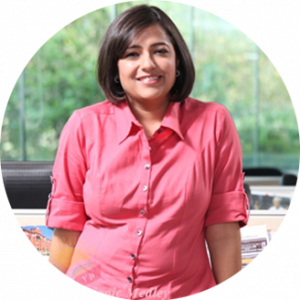 Saloni Malhotra A true entrepreneur at heart, Saloni began her career with WebChutney, an interactive media agency after completing her engineering from Pune University. Soon after she embarked on a journey in the social space and founded Desi Crew, a for- profit BPO focused on creating knowledge- base livelihood opportunities in small towns and rural areas. After receiving national and international acclaim for her innovative work with Desi Crew in March 2012 she stepped down as CEO, though she continues to be on its board. After a brief sabbatical where she pursued her academic interests Saloni became a part of the lead team in building a new vertical at Paytm. Not one to bask in her past achievements Saloni is back to her first love; exploring several innovative ideas for initiating new startups. Her entrepreneurial skills, innovative mindset and a generous heart has also meant that she serves as advisor to startups in different genres like Traveler Kids, Sevamob. She is also the Founding Trustee of the Local Community Exchange Empowerment Trust (LOKALEX). Saloni is an Aspen India Leadership Initiative Fellow for 2015 & an Aspire Circle Fellow. 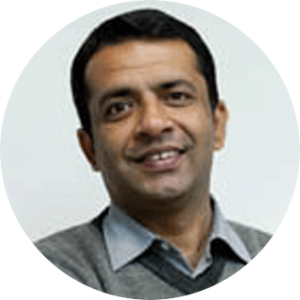 Anshu Gupta Popularly known as the Clothing Man, Anshu Gupta started his career as a freelance journalist and left a corporate career in 1998 to start GOONJ. Anshu’s mission in Goonj is to make clothing a matter of concern, to bring it in the list of subjects for the development sector. While introducing a new model wherein city’s discard is turned into a rural development resource, he adds a new perspective which looks at the giver’s dignity rather than the donor’s pride.. In the last 18 years GOONJ, the organisation he founded has been able to demonstrate, how a parallel trash based (as opposed to cash based) economy is possible. An Ashoka & Schwab Fellow, he and his organization Goonj, has won many international awards and the work brings a lot of conviction and evidence to show the success of the idea.GOONJ has emerged as the largest non -monetary resource agency while people also call it one of the largest civic participation movements!! 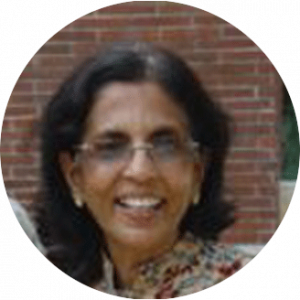 Meenakshi Gupta: Co-founder GOONJ.., Meenakshi has more than two decades of wide ranging communication career to her credit. Ending a 15 year corporate career, in 2005 she finally quit at the end of a eight-year stint as News Publicity Head with BBC South Asia. She now works closely with Anshu and the rest of the team on fine-tuning GOONJ’s strategies and communication with its urban and rural audiences as well its interface with other organizations. Meenakshi has traveled widely across the deep interiors of India to witness and understand first hand its issues and realities. 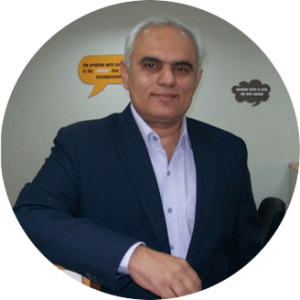 Ajay K Sharma One of GOONJ’s founder members, a masters in Hindi and a pass out of IIMC in journalism, Ajay has a rich experience of more than 20 years in the field of Electronic & Print media. He has traveled extensively throughout India as Associate Director, Krishi Katha, a Doordarshan series on the history of agriculture in India. 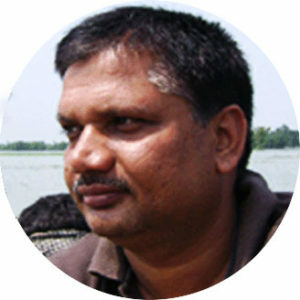 Keshav Chaturvedi is a media person and a writer with two decades of experience in print, electronic and online. He has been tracking the issue of environment and climate change since the Rio Summit in 1992 and specializes in renewable energy and sustainable development. He has written a book on the history of climate change negotiations which is under print. Keshav has traveled extensively across India and abroad, closely watching the impact of climate change on various societies and their efforts to come to terms with it.